To study maternal risk factors associated with full term low birth weight (LBW) neonates. Matched pair case control study. Multicenter study including 2 medical colleges and 1 civil hospital, between July 2009 to December 2009. Of 2382 neonates screened, 274 full term LBW babies (of 638) and 274 pair matched controls (of 1744) were included in the study. 364 LBW babies were excluded because of premature delivery/gestational age not known (314), unavailability of suitable matched controls (18), and insufficient data (32). Maternal factors including birth spacing, height, pre-delivery weight and pregnancy weight gain, age, parity, educational and economic status, type of family, antenatal care (ANC), maternal exposure to tobacco, hypertension and anemia were studied. Birth spacing <36 months, maternal height ≤145 cm, pre-delivery weight ≤55 kg, pregnancy weight gain ≤6 kg, exposure to tobacco, inadequate antenatal care, maternal hypertension, low socio-economic status, maternal anemia and less maternal education were associated with delivery of a low birth weight infants. Conditional logistic regression analysis showed that significant risk factors associated with low birth weight were inadequate ANC (OR-4.98, 95% CI-2.64 to 9.39), maternal weight before delivery ≤55 kg (OR-4.81, 95% CI-2.53 to 9.15) and height ≤145 cm (OR-4.13, 95% CI-2.04 to 8.37). Maternal malnutrition, inadequate antenatal care and poor weight gain during pregnancy are significant predictors for delivery of a low birth weight neonate. Sharma MK, Kumar D, Huria A, Gupta P. Maternal risk factors of low birth weight in Chandigarh India. Internet J Health. 2009: 9. 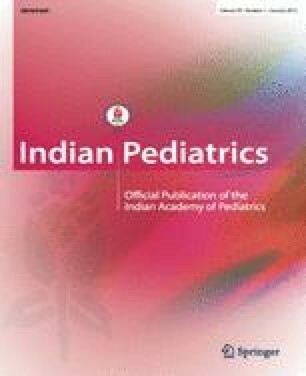 Available from http://www.ispub.com/journal/the_internet_journal_of_health/volume_9_number_1_12/article/maternal-risk-factors-of-low-birthweight-in-chandigarh-india.html. Accessed 10 December, 2010.